Texas' top Republicans guns, Gov. Rick Perry and U.S. Sens. Ted Cruz and John Cornyn, have teamed up to oppose expanding Medicaid services in the state. But their rare joint appearance Monday was marred by about 40 protesters screaming "Health care now!" and "Let us in!" outside the governor's Texas Capitol office. Advocates say extending Medicaid could provide up to 1 million Texans some health care coverage. But it's also a centerpiece of the White House-backed health care reform Perry, Cruz and Cornyn despise. 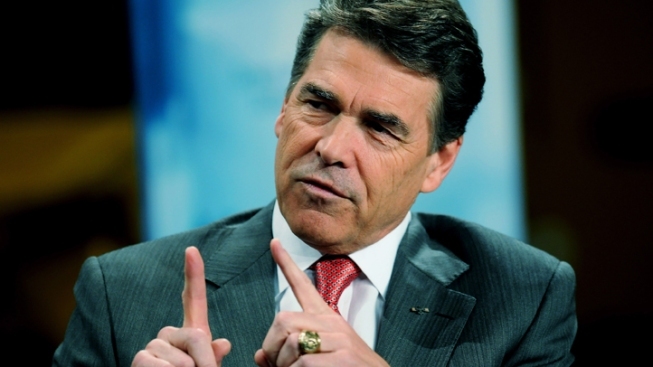 Perry says the program will "bankrupt" Texas. Cruz, a tea party firebrand, wants to repeal the entire health care reform law. Meanwhile, Democratic stars Julian and Joaquin Castro are holding their own event at the state Capitol on Monday, demanding that Texas accept Medicaid expansion.